An author who has had books released by the same publisher as J. K. Rowling has travelled back to her former college to inspire students and encourage them to follow their aspirations. 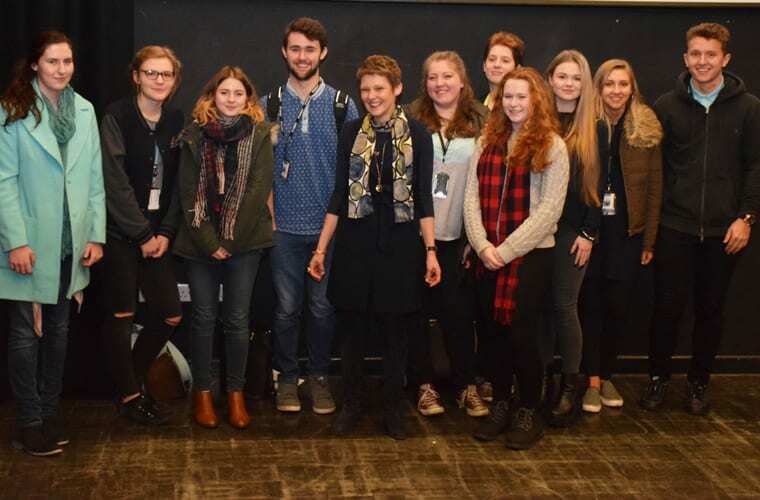 Nicky Browne, who attended Nelson and Colne College in 1977 to 1979, delivered three sessions about her journey to becoming a successful writer of the fantasy genre, to A Level and GCSE English and Drama students. Gifted, talented and able secondary school students were also invited to the event. During her return to NCC, Nicky spoke about her joy at being published by Bloomsbury, the ups and downs of her career to date, and shared advice of how to capture the imagination of readers. She also reflected on how important it is to make the most of your College years. The Richmond-based author, who has written both children’s books and teen fiction, said: “It has been fascinating for me to come back to Nelson and Colne College, and it has brought back some very happy memories. “It was also interesting to meet the students at College, as these are the years where they are on the cusp of transformation – ready to go to University or stay at home and work. Nicky, who grew up in Nelson and Fence, attended Edge End High School, before progressing to New College, Oxford, King’s College, Cambridge, and finally Manchester Business School. She has had nine novels published, including her “Warriors” trilogy – a snippet of which she read to students during her visit. And English lecturer Donna Greenwood added: “We are so grateful to Nicky for returning to Nelson and Colne College to talk to students looking to go down similar creative routes. For more information on Nicky visit nmbrowne.com and for more information about studying at Nelson and Colne College contact 01282 440272.